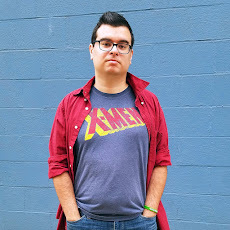 Adam P. Knave is a comic book writer and a novelist who has written books with hilariously bizarre titles like NYCWTF, Stays Crunchy in Milk, and I Slept With Your Imaginary Friend. His latest book is Culture’s Skeleton. It’s… yeah, it’s weird. Full review after the jump. Disclaimer: I received a review copy of Culture’s Skeleton directly from the author. Casey is a retired Combat Musician, making a living playing small gigs at her local bar. Jake is a professional con man. They live in Mur, the first human city. Long since cast adrift in time and space, it is secretly protected by three Forces, believed to be myths: The Cat With No Face, The Grandmother of Keys, and The Silent Heart. Accessible by seven gates that randomly appear on the other side of any door on Earth, in any time, Mur slides along the path of humanity silently. If you're not careful, or possibly if you're fortunate, you can end up there. I really didn’t know what I was getting into with this one. A bard, a thief, and a timeless city? Seemed pretty straightforward. But just as the city of Mur, which is built on labyrinthian city blocks that twist and turn, nothing in this book is straightforward. Just when you get comfortable with where you think the story is going, it turns down a switchback and goes in a completely different direction. There are two major stories that run concurrently, each focusing on one of the two main characters and their adventures discovering the mythical origins of the city of Mur. Casey’s journey starts to feel like she’s one of The Doctor’s companions, whereas Jake feels like he’s in a Netflix Marvel series… until everything changes and starts to feel like a completely different book. But don’t worry. Knave doesn’t just throw random plot twists and worldbuilding at the reader, he creates a believable world where anything can happen and yet it each turn in the story is still unexpected. One of the highlights of this novel is the city of Mur itself and the people who live there. Every dozen or so pages there is a brief interlude featured a one-off character. There are perhaps twenty or so mostly unrelated short stories featuring characters we never see or hear from again, yet each one provides further characterization for the city of Mur. As Casey and Jake’s adventure unfolds, Knave paints a background in Mur that expands our understanding of the city and its people. Culture’s Skeleton is the most unique book I’ve read this year and truly a one of a kind literary experience. It’s beautifully poignant, creatively weird, and bizarrely relatable. It may be a work of science fiction and fantasy, but the way the residents speak of the city of Mur will remind you of the first city you ever loved. 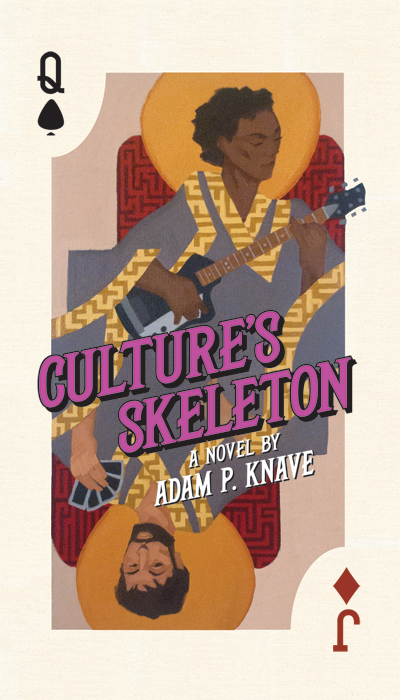 Click here to get your copy of Culture's Skeleton in paperback on as a Kindle ebook. Thanks! I can't say that it's for everyone but if you do read it and find yourself not loving it, wait a few pages because the weather changes every five minutes if you catch my drift.